I have been experimenting with a number of teas and herbal tea blends looking for useful (medicinal) and flavoursome teas. 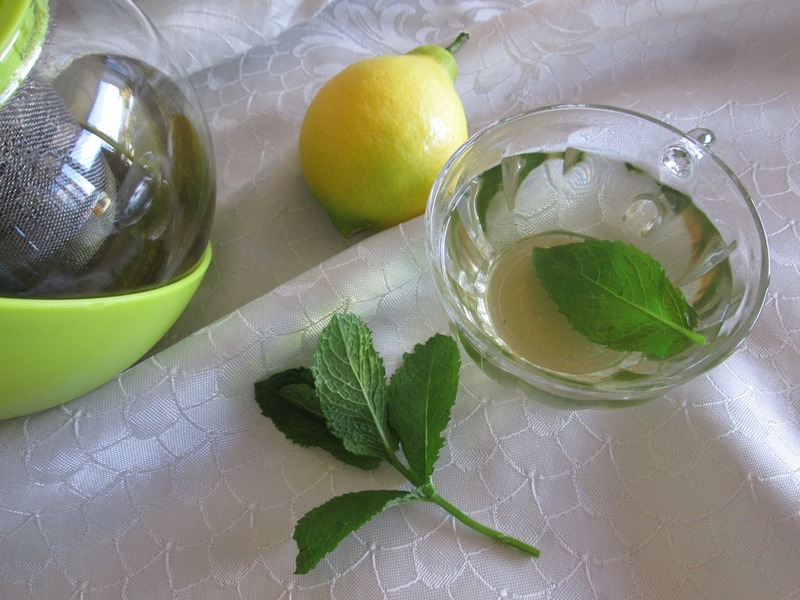 Of course, you can make lovely teas from fresh herbs and they look great in the cup. The trouble with fresh herbs is that they are not available all year. The next best option is to dry them for using later. Because herbs get their scents and flavours from their essential oils you need to take care to dry them in a way that keeps that flavour and oil intact. Essential oils are extremely volatile and will evaporate easily when exposed to light and heat. This is important to remember when picking them and drying them. If you are collecting herbs for drying from your own garden, harvest them in the morning when their oil content is at its highest. However, wait until any dew has evaporated. 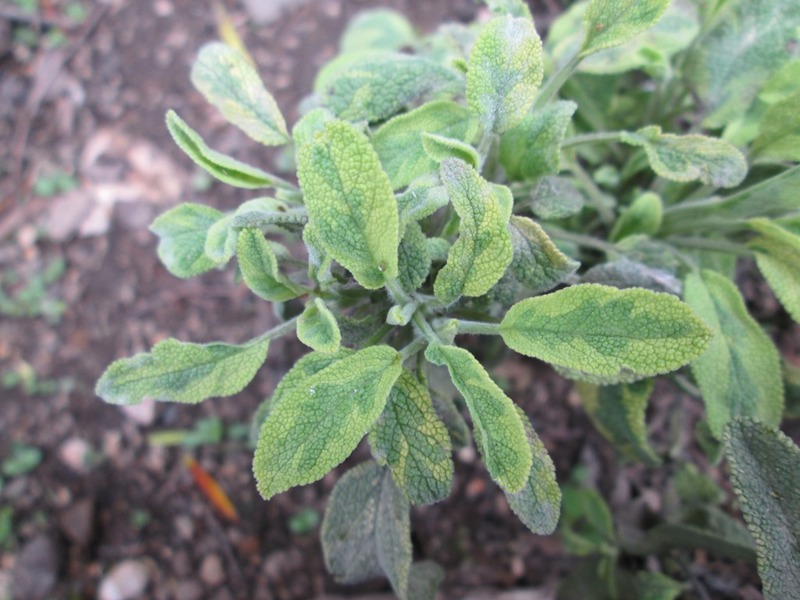 Overnight, the plants replenish the essential oils they gave up during afternoon heat. Some herbs do not dry well and are best preserved by other methods. Herbs that do not dry well include parsley, coriander, rosemary, chives and basil. These herbs keep their flavours when made into herbal oils and vinegars which can be used in cooking rather than in teas. 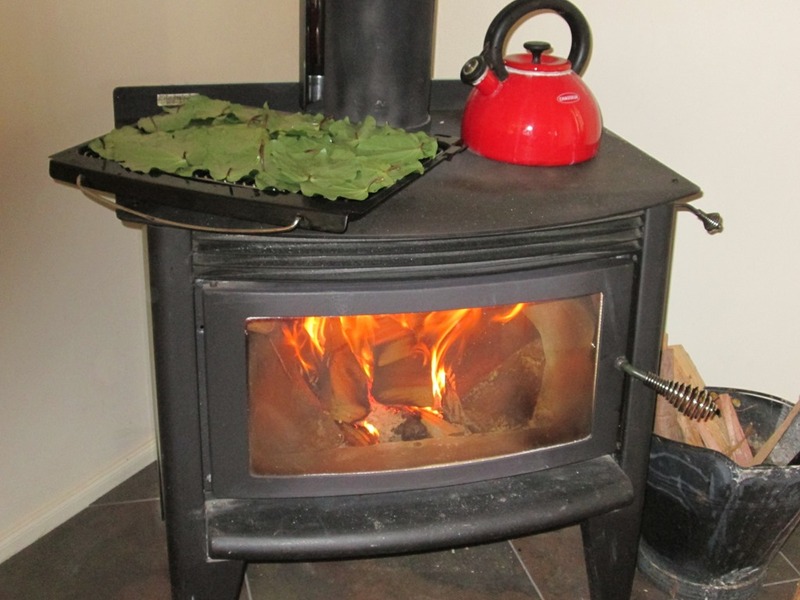 During the winter our wood burner is going almost constantly. I have hastened the drying process by using a roasting tray on the top of the stove, but this is probably not the best option. A better way is to hang the herbs, leaves down, with stems held together with a rubber band. Hang the herbs where they can dry away from direct light or heat. 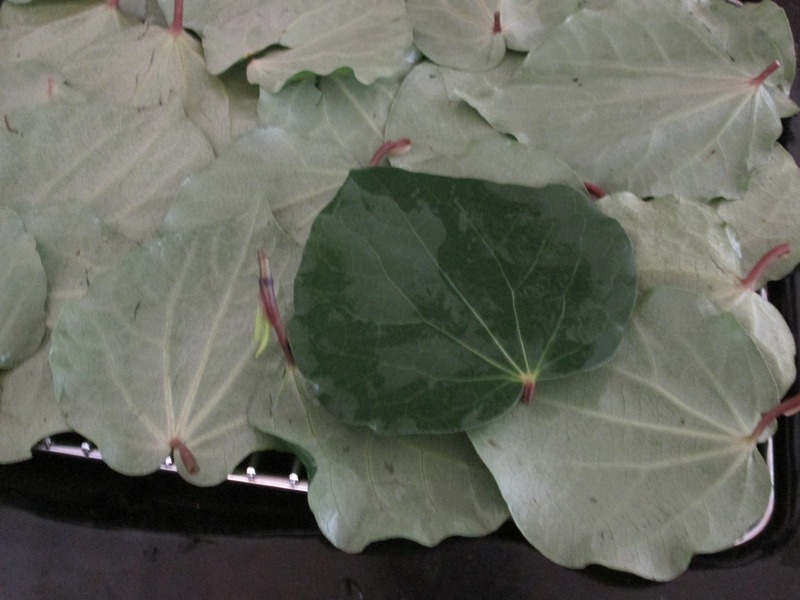 After a week they should be crispy-dry and the leaves should crumble easily off the stems. Strip the leaves from the stems. Crumble them in your hands before storing the dried herbs in tightly covered glass jars, again away from direct light or heat. 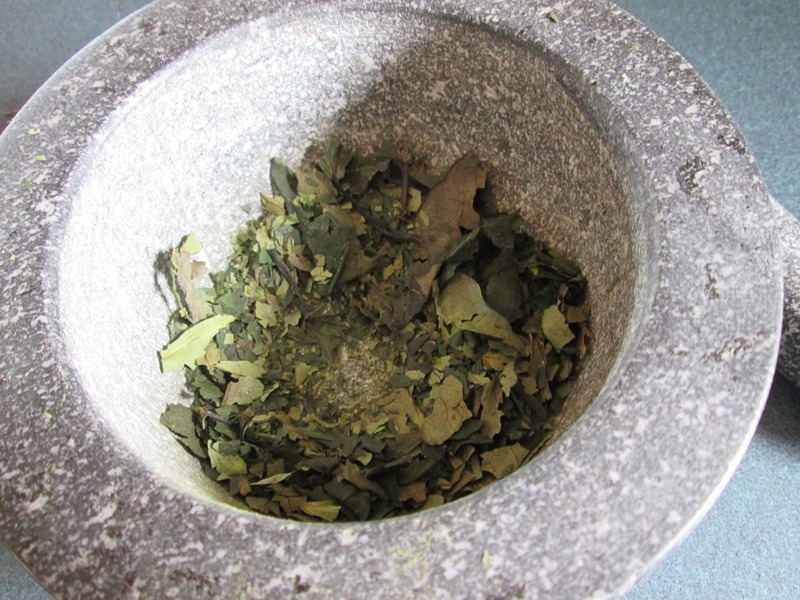 You can use a mortar and pestle but be careful not to crush the herbs into powder. Just as some cheaper teas are unpleasantly dusty, herbal teas will also become ‘dusty’ if over-worked. 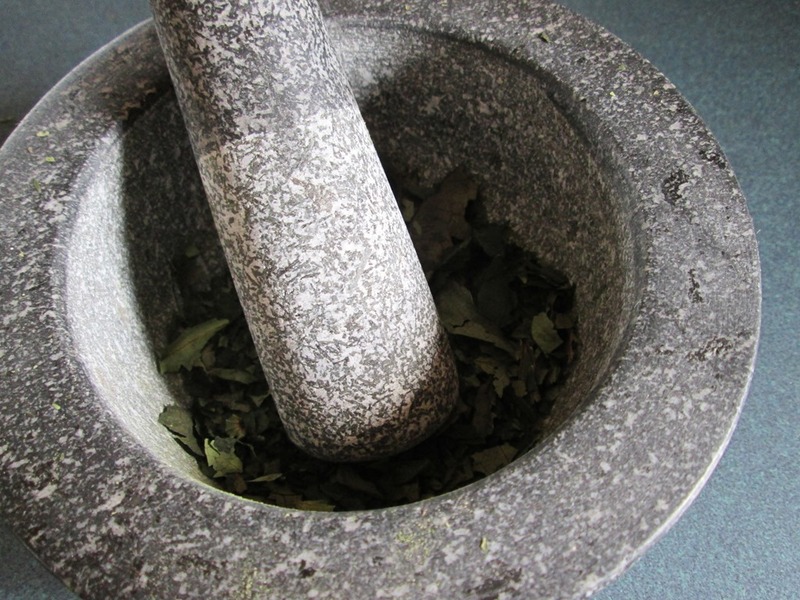 A mortar and pestle can be used to crumble herb leaves for teas. The leaves above are the dried tea made from the kawakawa leaves. If you cannot wait for your herbs to dry naturally, or they are taking longer than a week to dry, put them in your oven on the lowest temperature for no longer than 5 minutes. Let the herbs cool at room temperature for 5 minutes before transferring to jars. Only people who have lived through a major disaster, like the Christchurch Earthquake of 2011, can understand the subtle changes in outlook and fortune these natural events make in your life. Even if you are only affected in a minor way your outlook on the certainty of life is forever changed. Major disasters affect your life because they disrupt your income: your business or your employment or the market in which you offer products and services. If you no longer have premises to work in, what can you do? In the Christchurch earthquake many buildings were unsafe to work in, so businesses scrambled to relocate – moving into residential buildings that were often unsuitable for their commercial purpose. Or they doubled-up with other businesses which added stresses because of the lack of space. The stress levels of the whole community rose along with the fear as the city was rocked by countless aftershocks. Large companies survive disasters, like earthquakes, because they have reserves of cash/investments they can call on to buy new leases. They are also attractive as new tenants and can negotiate deals. Small businesses, especially service businesses, are not so lucky. Their reserves have often been used to set up in the first place and are constantly being re-invested into the business to establish a sound financial footing. When the ground is literally shaken from under them, their viability is also threatened. Business life has to change. 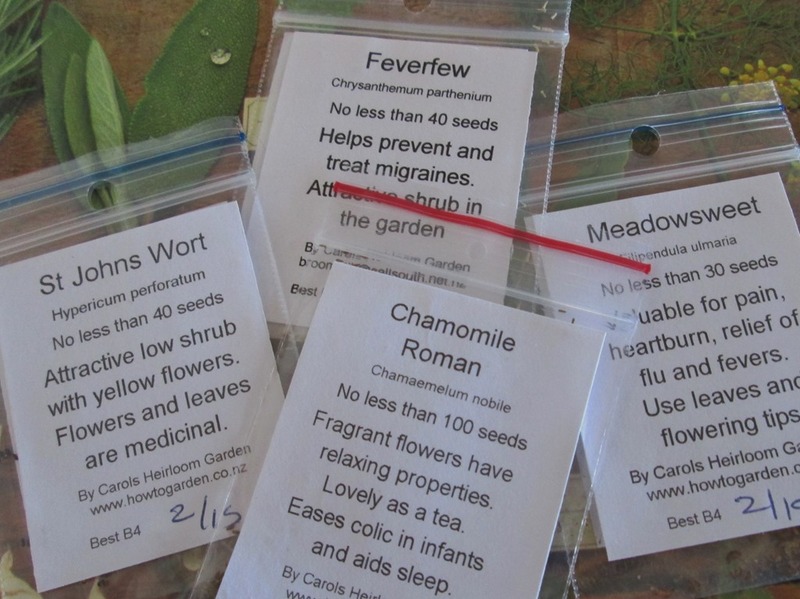 I was heartened to come across this website of a Tanya Townsend, a Clinical Medical Herbalist, whose livelihood was destroyed by the earthquake, but who is now using and marketing her knowledge in a different way. She has set up Naturalus – a natural health online store and I love the philosophy behind her medicinal herb products. 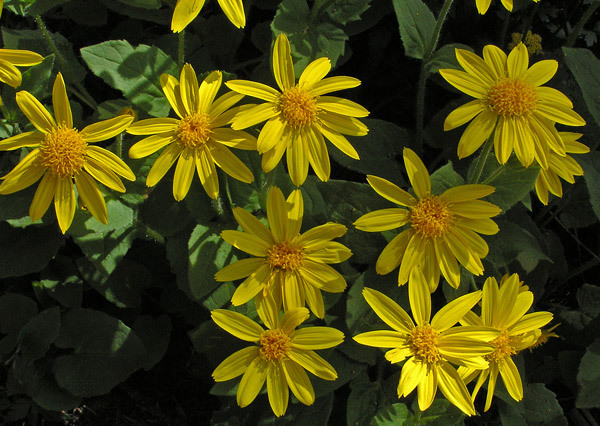 And there are herbal products designed to help you cope with stress. Not only has Tanya gone online (her Facebook site is here), she has also gone back to grassroots marketing by regularly meeting her customers face-to-face at a local (farmers) market in Riccarton, Christchurch. Good on you, Tanya, for being a survivor, even though life will never be the same.